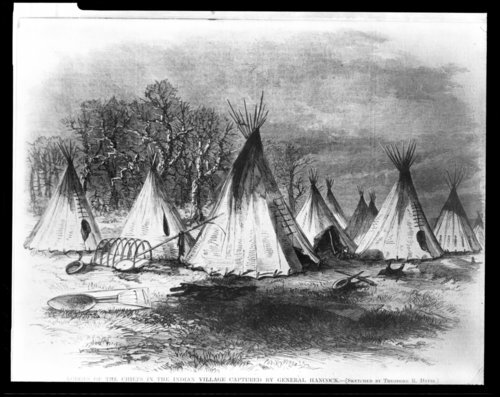 This illustration portrays Cheyenne Indian lodges on Pawnee Fork, thirty miles west of Fort Larned. These lodges were abandoned and later burned under the command of General Winfield S. Hancock. This illustration was published in Harper's Weekly, April 19, 1867. Funds for digitization provided by Mr. Steve Peckel in memory of William Chalfant.